Honda announced the official launch of CB300R in India on 8th February and they had promised to start delivering the mid-sizer by end-March. In a latest press note, they have shared the commencement of deliveries in a few cities. The first lucky customers to get the keys of their possessions are from Chandigarh, Jaipur, Haryana and Delhi – basically the Northern part of the country. Honda said that they have commenced nationwide deliveries and other cities will be followed soon. It must be remembered that CB300R, at the moment, is only available in 22 dealerships in India. At this occasion, Mr Yadvinder Singh Guleria, Senior Vice President – Sales & Marketing, HMSI, said that based on the response CB has received, they have revised their production plan to meet the additional demand. However, no information on the number of bookings or the approximate number of deliveries made or the actual current/planned production plan has been shared. 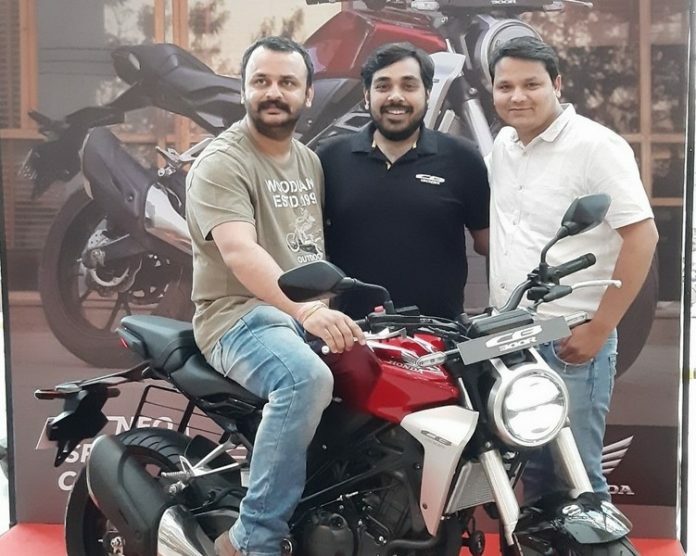 CB300R, which is imported into India as a CKD has been priced at Rs 2.41 Lakh ex-showroom, which, if taken in reference with the India-made BMW G310 siblings, makes a lot of sense. Honda has introduced a new version of CB300R in Japan and it gets minor updates (details here). They have introduced a range of official accessories for CB300R, details of which we are sharing in a separate story. 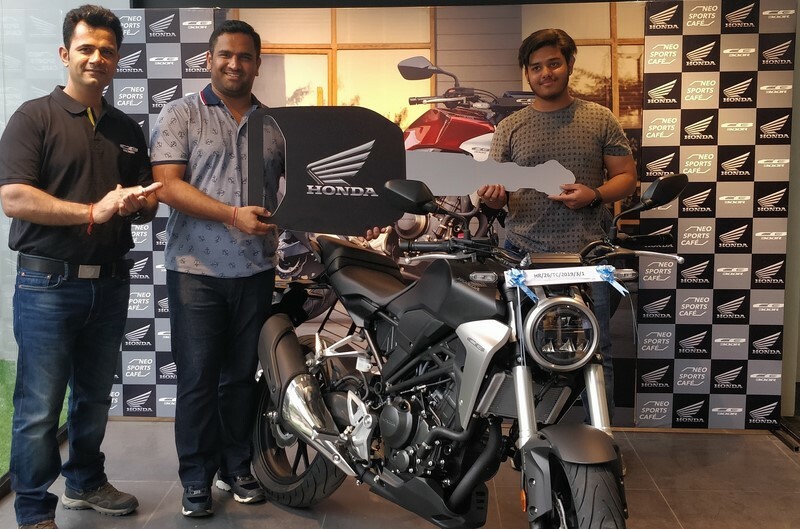 CB300R is a part of Honda’s ‘Silver Wing’ strategy where they plan to mark their stronghold in the mid-capacity motorcycle segment in India. Apart from the 300, Honda is also seeking bookings of its new CB650R in India.